With just you and your kids. With just you and your spouse. . 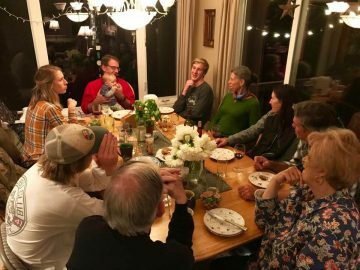 In whatever form, fancy or ordinary, every day, in the real space of your real home in your real neighborhood, gather together to share a meal. Growing up in my German family, we always had meals together; my parents made it a priority to gather around our family room or dining room talbe for dinners most nights and weekend breakfasts, and that is how my husband was also raised, sharing meals with his family around their dining room table. 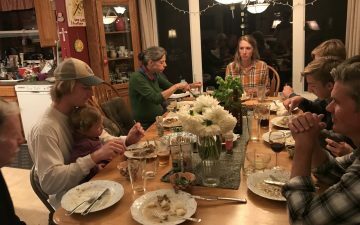 And now with our own family, gathering around our dining room table to share meals and conversation is a huge priority in in How I Mom. 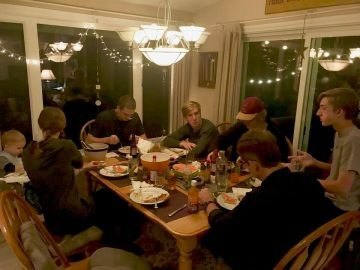 And, now my daughter and oldest sons gather around their own dining room tables in their homes with their own little families. What about you? Were/are family meals important to you when you were growing up? How about today with your own families?What is one of the ways you Mom?